Masahiro Tanaka of the New York Yankees. The major league career of Masahiro Tanaka, the rookie pitcher from Japan signed by the New York Yankees during the offseason, is off to a blazing start. Tanaka mowed down 11 Los Angeles Angels of Anaheim batters Sunday night, giving him 46 strikeouts for the 2014 season; according to the Elias Sports Bureau, that’s the third-most strikeouts by any pitcher in his first five career starts since 1900. Of course, strikeouts are at an all-time high so far this season, so Tanaka’s dominance might be just a single ship on a rising tide of whiffs. 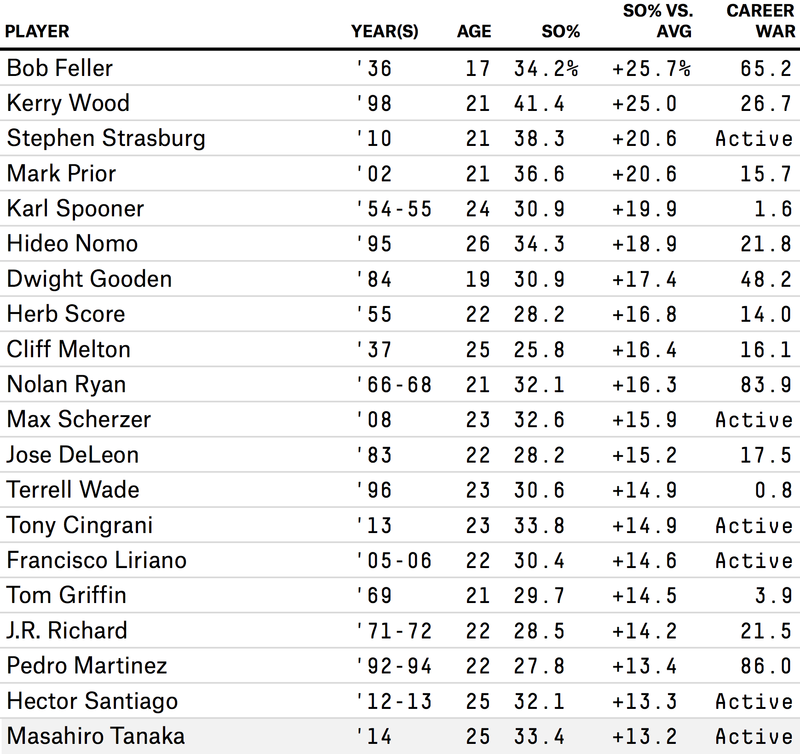 I wanted to look at how Tanaka’s K-rate compares to Major League Baseball’s average, how that number matches up against past pitchers, and what kind of careers those pitchers ended up having according to wins above replacement. Tanaka ranks 20th after we adjust for the major league average rate of strikeouts per batter and the number of batters he faced (using Voros McCracken’s formula for estimating batters faced). 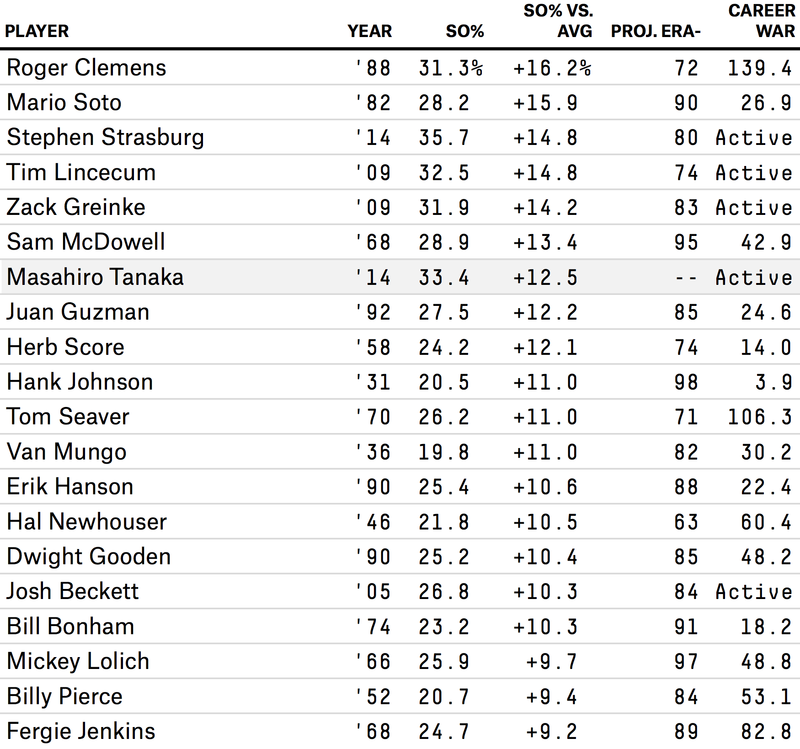 That’s still pretty good, though at 25 he’s also older than many of the other names on the list. It makes sense, given that a pitcher’s strikeout rate starts declining from practically the very beginning of his career.